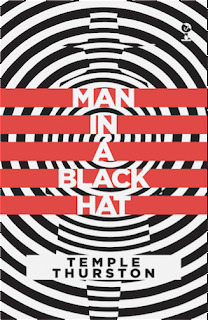 Valancourt Books have announced the publication of Temple Thurston's macabre Thirties thriller Man in A Black Hat, in which a sinister magician pursues an ancient grimoire offered for sale at a country house auction. This overlooked book should appeal strongly both to admirers of the Jamesian antiquarian supernatural story and those who enjoy the occult shockers of Charles Williams and Dion Fortune. It was a book I discovered in my local library at about the same time I encountered the work of Arthur Machen, and although it was the latter's incantatory prose that most drew me in, Temple Thurston's novel also lingered in my imagination for many years. There was something about the atmosphere that I found compelling, and both the decent, rather diffident narrator and the suave necromancer, far from a caricature, were figures that were well-drawn. For some reason I associated it with the streets of a quiet town in the afternoon sun, and with the gleam of the black hat proceeding along these, bringing a sense of foreboding. Indeed, the book made such an impression on me that later, when I became a collector, I found I had to have it not only in the original edition but also in the very form in which I had first read it, a series of library reprints, as if the authentic appearance of it to me then was important to its power. The book is dedicated to the Scottish-Canadian actor Matheson Lang, who played in many performances the title character in Thurston's phenomenally successful play The Wandering Jew, and whose memoirs recount one or two eerie experiences associated with the play. That friendship leads me to suggest, in my introduction, a possible model for the magician in Thurston's book, which I don't think has been proposed before - it's not the obvious candidate. But whether I'm right about that or not, I think Temple Thurston gives us a well-crafted novel of the dark fantastic which certainly deserves to emerge from the shadows. 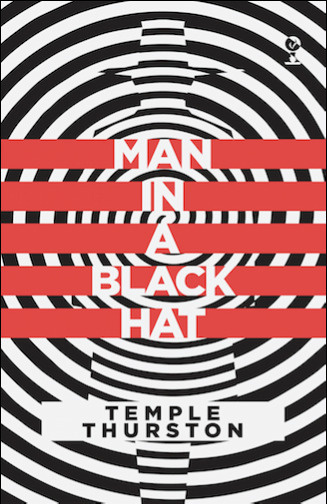 Man in a Black Hat is a wonderfully creepy book and quite rare so it is wonderful that Valancourt is reprinting it. It will appeal to readers who enjoy horror as well as those who enjoy a well-crafted bibliomystery. The manipulation of his victims by Gollancz the magician reminded me of The Sorcerer's Apprentice by Hanns Heinz Ewers. This novel is definitely the darkest of Temple Thurston's output. In most of his books I have read, his best story lines evoke a sort of "scholar gothic": men of recondite tastes and expertise who encounter or bring about bizarre happenings. This sounds right up my mysterious alley. You keep your mysterious alley to yourself! This sounds like an excellent book and an unjustly forgotten little gem of fantastic literature. Many thanks for resurrecting it, Mark. I'm reading it now and it's a good story so far. Lots of dark creepy fun! It's a good, old mystery with paranormal elements.